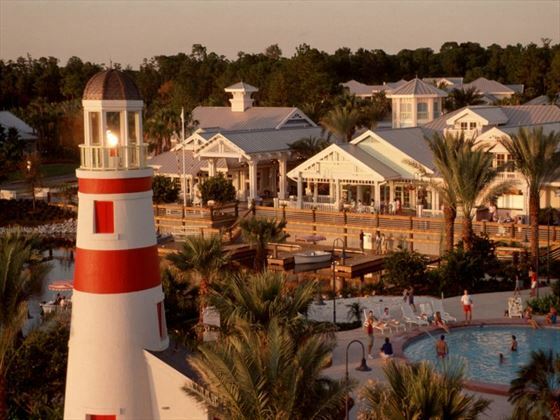 Capturing the spirit of the waterfront, Disney’s Old Key West Resort boast all the romance of the Florida Keys, the beauty of a shimmering lake and all the excitement of Disney’s theme parks just minutes away. With stylish décor based on turn-of-the-century Key West, this is a fabulous way to experience some of the world’s most famous attractions. There’s a great choice of accommodation to suit you, no matter what you’re looking for. The studios come with a basic kitchenette while the villas offer full kitchen, allowing for an easy self-catered experience, whilst also giving you the option to venture out for dinner whenever you please. This is Disney, and you’ll be spending plenty of your time at the parks, but for when you’re looking for a little more relaxing time, there’s a great variety of things to do. There are four heated swimming pools, movie nights and a children’s playground. Top Tip: Your hire car is the perfect way to get around Orlando and when you stay at a Disney Hotel you get free parking at both the hotel and the Disney theme parks! 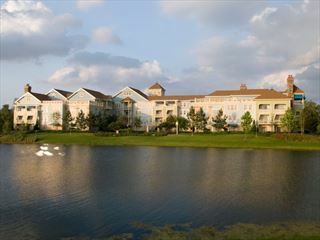 A Disney Deluxe Villa Resort located in the Downtown Disney Area. 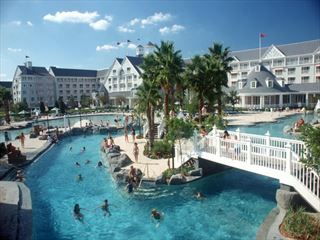 This fun resort is located in Downtown Disney, giving you easy access to a whole array of fabulous restaurants, as well as the resort's epic theme parks.